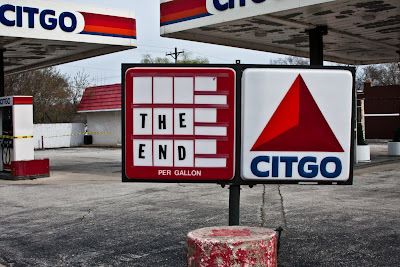 here is a photo of a closed gas station in evanston illinois. i imagine we'll be seeing more and more scenes like this in coming years. party.